Make yourself at home in one of the 30 air-conditioned guestrooms. Complimentary wireless Internet access keeps you connected, and cable programming is available for your entertainment. Bathrooms with showers are provided. Conveniences include desks, housekeeping is provided on a limited basis, and irons/ironing boards can be requested. Make yourself at home in one of the 55 air-conditioned rooms featuring LCD televisions. Complimentary wireless Internet access keeps you connected, and cable programming is available for your entertainment. Private bathrooms with showers feature complimentary toiletries and slippers. Conveniences include complimentary bottled water and irons/ironing boards, and housekeeping is provided daily. With a stay at Ritz Garden Hotel Ipoh, you'll be centrally located in Ipoh, within a 10-minute drive of Ipoh Parade and Yasmin At Kong Heng Museum. This hotel is 7.3 mi (11.7 km) from Lost World Tambun and 0.9 mi (1.5 km) from Han Chin Pet Soo. Featured amenities include a business center, dry cleaning/laundry services, and a 24-hour front desk. Planning an event in Ipoh? This hotel has 7532 square feet (700 square meters) of space consisting of a conference center and meeting rooms. Free self parking is available onsite. With a stay at Hotel Excelsior in Ipoh, you'll be within a 10-minute walk of Ipoh Parade and Dataran Ipoh. This hotel is 5.9 mi (9.5 km) from Lost World Tambun and 0.9 mi (1.5 km) from Angsana. Satisfy your appetite for lunch or dinner at the hotel's restaurant, Garden View, or stay in and take advantage of the 24-hour room service. Quench your thirst with your favorite drink at the bar/lounge. A complimentary English breakfast is served daily from 6:30 AM to 10:30 AM. With a stay at Sunway Lost World Hotel in Ipoh (Ulu Kinta), you'll be a 5-minute drive from Lost World Tambun and 11 minutes from Kinta City Shopping Centre. 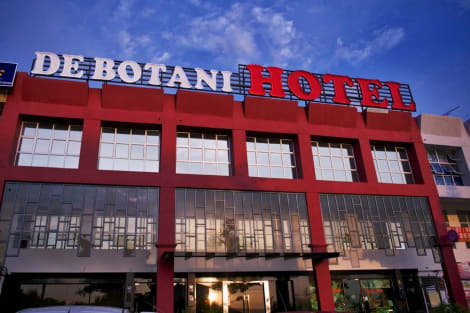 This family-friendly hotel is 5.7 mi (9.2 km) from Ipoh Parade and 4.4 mi (7 km) from Royal Perak Golf Club. Grab a bite at one of the hotel's 2 restaurants, or stay in and take advantage of the room service (during limited hours). Relax with a refreshing drink from the poolside bar or one of the 2 bars/lounges. Buffet breakfasts are available daily from 6:30 AM to 10:30 AM for a fee. Featured amenities include a business center, limo/town car service, and express check-out. For a surcharge, guests may use a roundtrip airport shuttle (available on request) and a train station pick-up service. 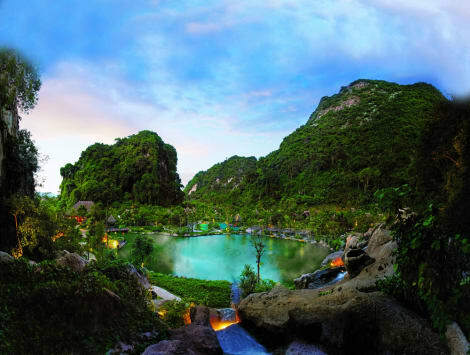 With a stay at The Banjaran Hotsprings Retreat in Ipoh (Ulu Kinta), you'll be a 4-minute drive from Lost World Tambun and 13 minutes from Kinta City Shopping Centre. This 5-star hotel is 6.1 mi (9.8 km) from Ipoh Parade and 4.7 mi (7.6 km) from Royal Perak Golf Club. lastminute.com has a fantastic range of hotels in Ipoh, with everything from cheap hotels to luxurious five star accommodation available. We like to live up to our last minute name so remember you can book any one of our excellent Ipoh hotels up until midnight and stay the same night.